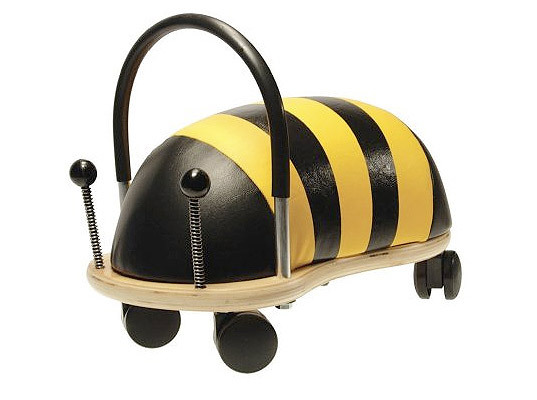 Is there anything cuter than this wooden, eco-friendly ride-on Wheely Bug? Our only problem with it is it doesn’t come in grown-up sizes. Your ankle-biter, on the other hand, faces no such impediment, and is free to coast forwards and backwards, scoot from side to side, and spin round and around on the toy’s four multidirectional casters. Designed to promote gross motor skills and balance, the award-winning Wheely Bug is composed of a PVC-free faux-leather body that sits upon a contoured base made from plantation-grown poplar. Each Wheely Bug—choose from bee, mouse, ladybug, tiger, and cow models—comes in two sizes: small for little cruisers 18 months and up, and large for bigger kids of 3 years or more. I first saw Wheely Bugs on http://www.designerark.co.uk/category/19/Wheelybugs and instantly fell in love with them. That was a few years ago and most of my friends all fell pregnant around the same time and after one was bought the others joined in and I'd probably say they even have the whole collection now between them! 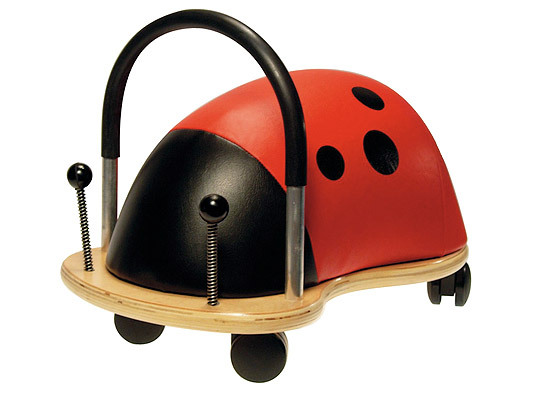 Is there anything cuter than this wooden, eco-friendly ride-on Wheely Bug? Our only problem with it is it doesn't come in grown-up sizes. Your ankle-biter, on the other hand, faces no such impediment, and is free to coast forwards and backwards, scoot from side to side, and spin round and around on the toy's four multidirectional casters.